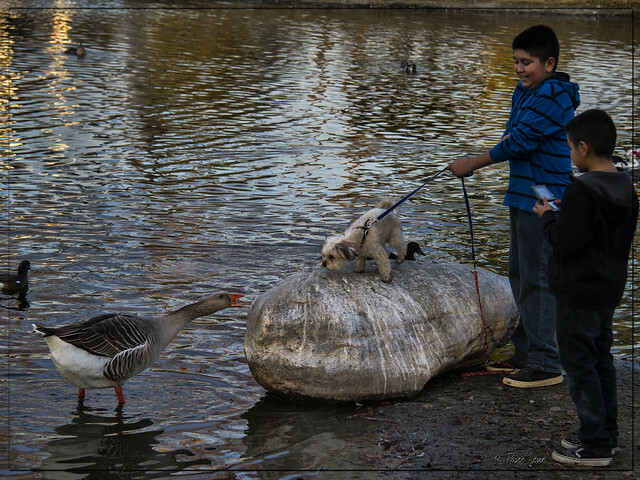 Can a goose and a dog ever find common ground? Everyone was enjoying watching this feathered and furry meeting at Wilderness Park. The pup wanted so badly to make this an up-close-and-personal relationship. 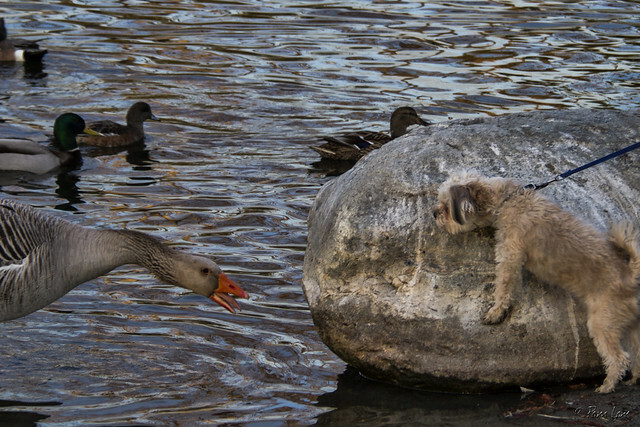 But the goose was having none of it. Firmly standing his ground, he gave the pup a piece of his mind.